The sense of rarity has become lost. From caravans trundling along the silk route to sojourns to exotic lands; the story of luxury was born out of the desire to travel far and wide in search of the finest things. Now, every major city around the world is brimming with luxury brand stores. From every corner, a Louis Vuitton bag will flash, our social feeds are filled with high-class brand advertising, department stores stock these once rare names, and at the seasons end – pricey designers are burning leftover wares. When we see someone with a Louis Vuitton or Michael Kors handbag on their arm, we barely bat an eyelid. These names have become so commoditized in our culture. Even discount designer malls hold stores, you can find their products hawked on seller sites like Ebay, and in the backstreets of Dubai, tourists duck into abandoned storerooms to purchase well-executed knock offs. Louis Vuitton is a great example of a brand running the risk of blowing up its own empire. Sales growth for their handbag department is stuttering along despite once being responsible for bringing in fifty percent of parent company Kering’s sales. The Louis Vuitton monogrammed bag has become a novelty item, not a term that one usually wants to say in the same breath as luxury. Michael Kors is at risk of suffering a similar fate. Americas so called golden boy has seen massive growth, going from just over two hundred stores in 2011 to over triple that number of outlets and stand-alone stores selling their wares now. You can even buy Michael Kors products onboard cruise ships. While the fashion remains unobtainable for everyone at soaring prices, the handbags can be picked up for a couple hundred bucks. Not exactly a discount price, but attainable for those aspirational buyers who want to own a slice of the luxury lifestyle. This means that suddenly the street are filled with people flaunting their Michael Kors bags, which has a knock-on effect to the brands image across the board. Follow the thread of luxury back and it leads to royalty, celebrity, and aristocratic families. There was a hushed scarcity, a secretive admiration, a coveted culture, and a deep breath of divine wonder. It was exclusive, beautiful, and above all special. High class luxury fashion brands need to put the brakes on or they run the risk of falling down the same rabbit hole that nearly ripped Burberry apart years ago. Remember when Burberry was once a checkered pattern tied to cocaine riddled soap stars, footballers wives, and bad taste due to oversaturation? The brand had to claw itself back from the bottom, but fortunately survived thanks to the complete remake by Christopher Bailey. 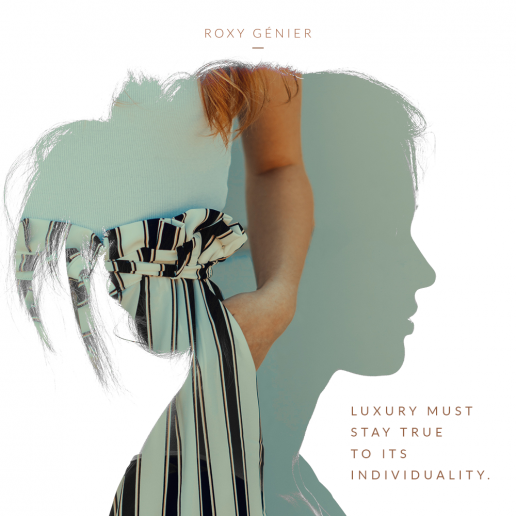 Luxury is no longer special, rare or coveted. We are overexposed to these beautiful things, and so much choice at every turn has left us all with buyer fatigue. So much so, that the very idea of picking a new coat can leave us exhausted before we even step out the door. Even multi-millionaires like Mark Zuckerberg suffer from decision fatigue, as he touts as his reason for always appearing in the same grey t-shirt and hoody combo. The more choice a buyer is confronted with, the more work they have to do, the more it plays on their psyche, and the more likely they are to either freeze due to choice paralysis or second guess their decision when they do eventually make a purchase. Our modern -day growth strategies in business link us back to the industrial age. If people aren’t buying your goods, make more, keep throwing things into the pile until something catches their eye. Fashion brands like Burberry, Gucci, and Louis Vuitton went in hard when it came to growth and exposure especially in the Chinese retail networks. They threw open their doors in third rate cities where the customer base wasn’t as concentrated as some of the worlds finest capitals. This overexposure led to flailing financial decline, which in turn led to some of these stores having to close their doors, and the luster of these luxury brands being untouched was suddenly tarnished. Along with the constant battle to balance exclusivity and accessibility, there is another sharp card on the table. Once luxury brands were able to exert control over their products, their placement, and their brand experience. Now, with more and more consumers turning to the online space, it becomes difficult to vet to where and whom these products are going to. Not having control over the consumer experience can mean swapping out champagne swilling afternoons to a brown box chucked on their doorstep. Hardly the awe-inspiring experience that lovingly links customer to brand. High-class luxury brands may not completely manage to take control back, but they can steer the mindset in the right direction. It’s not only the fashion industry under fire for creating choice fatigue. The travel industry too has left would be adventurers weak at the knees. 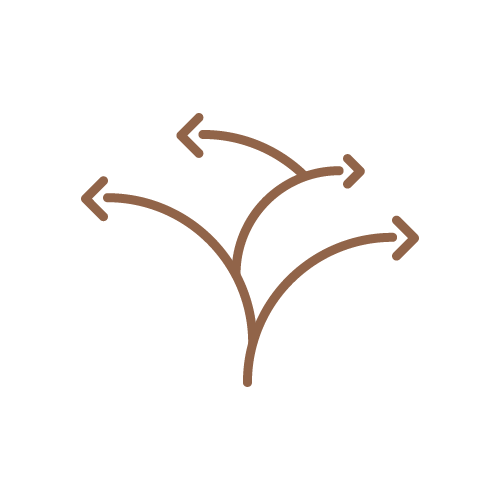 Studies found by Science Direct noted that those faced with too many choices resulted in individuals opting for no choice at all. Too much choice can lead to anxiety, which makes this a great option for personalized tour operators to shine. While travel companies may think they are offering their consumers the ultimate freedom, with an abundance of choice they are actually taking their time – something we all know is very precious to the world of the wealthy. The wistful too many places too little time ethos strikes us with panic and luxury travel brands must be the ones to assuage this fear of FOMO and choice. Luxury brands need to understand that once out, its difficult for the genie to go back in the box. New Luxury is about being ready to go beyond profit margins and look to a higher purpose. No matter how many leaves are on the trees, scarcity remains the root and the essence of true luxury. Scarcity whether perceived or real is a driver for desire and once you tap into scarcity as part of your storytelling, you suddenly hold all the power. 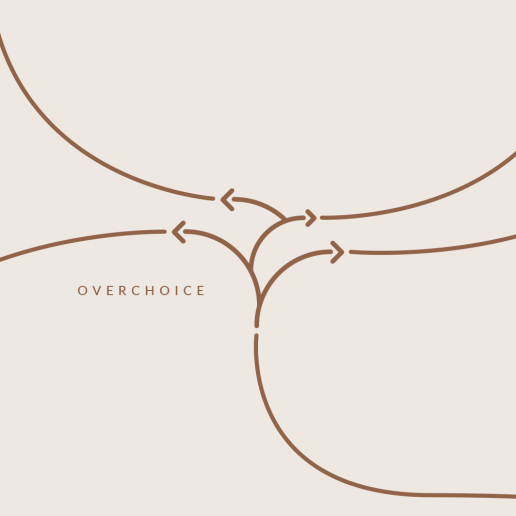 Now that we have learned about the dangers of overchoice, let’s explore the solution.